ADELAIDE premiership coach Bec Goddard headlines a list of nominees for the Fujitsu General Football Woman of the Year award. 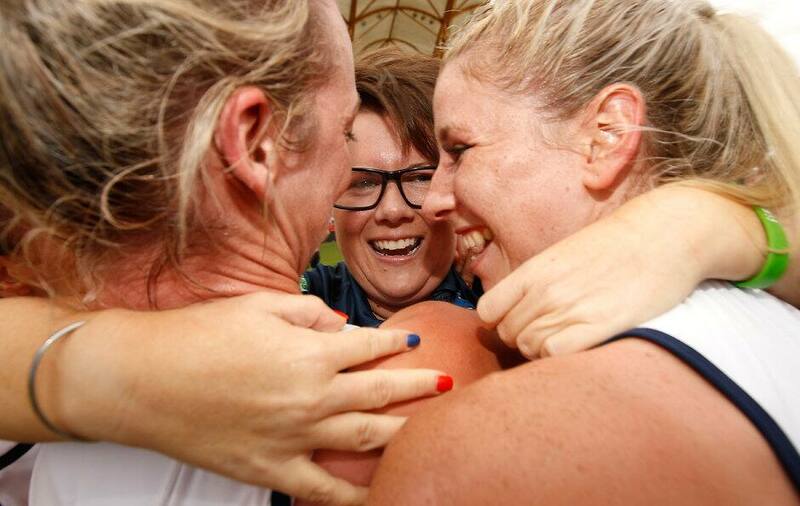 Goddard took the football world by storm with her work to unite a Crows team split across two training camps (Adelaide and Darwin), culminating in a six-point win over the Brisbane Lions in the inaugural NAB AFL Women’s Grand Final in March. The award is one of two to be presented at an Essendon-run function on September 28. Fellow nominee Laura Kane juggles two senior football roles – she is North Melbourne's football operations manager and president of VFL Women's club Melbourne University. Jess Smith, who has managed the VFLW operations for AFL Victoria, and Allana Dickie, the female football coordinator for the Western Australia Football Commission, have also been nominated. Commentator and journalist Sam Lane rounds out the list of nominees for the football woman of the year award. Four women have been nominated for the VicHealth Community award for their work at their respective clubs. Carolyn Hills (WAWFL president), Charmaine Rogers (West Australian Football Commission female football representative), Julie Allan (social marketing committee vice-president at Essendon) and Leanne Backwell (Lancefield Football Netball Club president) are in the running for the award.